TYPES OF DEFECTS WE DETECT FOR YOU. As per the Australian Standards for pre-purchase building inspections we must report on Major Defects and a general impression regarding the extent of minor defects. We also must inspect for any major defect that is an urgent and serious safety hazard. Mr. Inspector has supplied a list and examples below of the types of defects we look for and report on. Your building inspections report will include Structural Defects, Major Defects, Minor Defects & Maintenance Issues and Major Defects that are an urgent and Serious Safety Hazard. There are many defects that Mr Inspector searches for in a home inspection. There are over 1000 potential defects we could potentially list in your report, but one would hope that wasn’t the case. Apart from listing defects and supplying photographs, the object of getting us to carry out your home inspection is to provide advice to you regarding the condition of the property and to form an opinion of the general condition of the property in comparison to a home that is of similar age and construction that has been well maintained over the period of its life. After 11 years of experience in the house inspection industry we can guarantee you that every house will have defects. Houses like cars get old, some are poorly maintained and some are pretty good overall. Mr Inspector doesn’t just send you a house inspection report listing all these defects for you to try and work out. I wouldn’t pay for that. We tell you what type of defects they are, where they are located and what’s required to fix them. All our house inspection reports are about 60 to 70 pages and include photographs of the defects with labels and arrows to help you out. Best of all, Mr Inspector is available all hours of the night until you understand your building inspection report. We do this for your benefit and ours because we would rather you fully understand it on the same day when it is fresh in our mind rather that calling us the next day when we are under a house. IMPORTANT: Mr Inspector wants you to totally understand the significance of the defects we find. A home can have major defects that are cheap to fix as well as minor defects that are expensive. By having an understanding of what is expensive to rectify, you know what you’re getting into, know what it is all going to cost to fix and then you can decide which way you want to go or alternatively how much you are willing to spend to buy the property. In Australia, a Pre-Purchase Building Inspection should be carried out as per Australian Standards (Inspection of Buildings – Part 1: Pre-purchase Inspections – Residential Buildings (AS 4349.1 – 2007). This Standard is quite a large and overwhelming document that provides Building Inspectors with the basic criteria for the inspection and the inspection report. It tells us what to inspect on and also what we shouldn’t include in our house inspections. In basic terms we inspect all visible areas within our area of expertise, telling you what type of defects are present, where the house inspection defects are located and what you need to do to rectify them. Most Building Inspectors are insured in the event something may go wrong, some are not. If a building inspector did not satisfy the requirements of this Standard his/her insurance company would likely not support them in the event of a claim by a client. Mr Inspector is fully insured and carries out his inspections in accordance with AS 4349.1 2007. 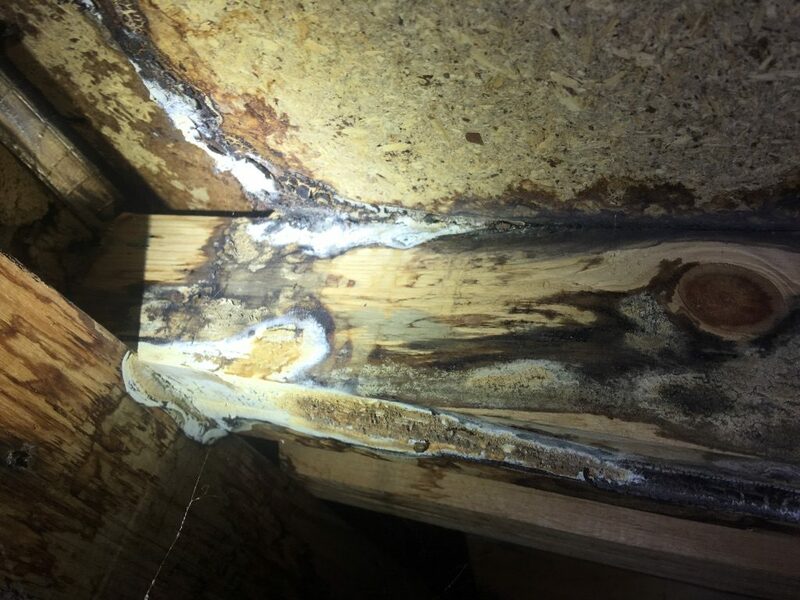 Test before you buy - Mr Inspector recently conducted a house inspection in Melbourne and came across an engaged pier that had detached from the main wall. An inspection of the sub floor is essential during any building inspection as this is where many defects can surface that no one actually sees. The photo shoes the defect and this is considered a structural issue and floor loads (bearers/joists) and wall frames all load onto the area of the permitter wall. Roof loads sit on the walls and thus if this got worse or other piers detached the expense to repair would be substantial. Fortunately this did not cause to much grief as the span between the other piers was small. A brick layer would be required to re-attach the pier at a small cost. If you are looking at buying a home, it is important to have someone qualified, knowledgable and experienced to assess before you purchase. Mr Inspector is a qualified building inspector service and has been conducting pre-purchase building inspections Melbourne wide since 2004. We aim to assist home buyers and home owners to identify and rectify major defects, structural defects and safety hazards. The photograph above was taken during a recent house inspection in Melbourne and shows a gap between balustrade on an upper balcony of a recently built home. The photograph shows that the gap between two balustrade posts is 140 mm. which is defective and a safety hazard. Gaps between balustrades, posts and the like can not exceed 125 mm. This is considered the average size of an infants head and thus we don't want children crawling through these gaps and falling. This regulation applies to any landing, stairs, balcony and the like that is 1 meter from the ground. This includes internal areas as well. The above finding is a safety hazard and must be rectified by the builder to avoid potential injury or death. The importance of engaging a qualified and knowledgeable building inspector is paramount before you buy a home, as indicated above. Unfortunately not all builders know about every single building requirement and these defects can go unnoticed until it is too late. If you have any questions about house inspections around Melbourne do not hesitate to call and I will be able to assist.